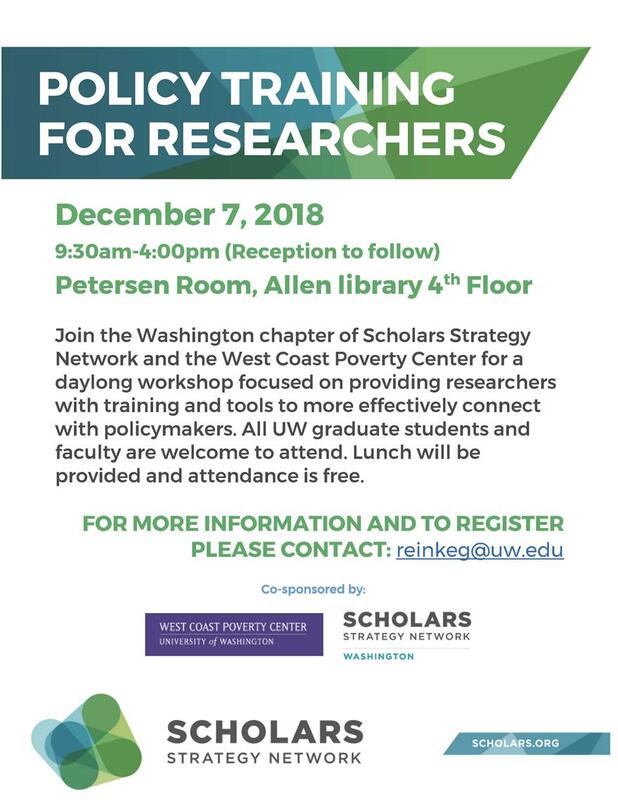 Friday, Dec 7, 2018, 9 a.m. – 4 p.m.
Do you want to build strong relationships with people who shape public policies? This workshop will show you how. Led by Paola Maynard-Moll (Director of Policy, Scholars Strategy Network) and Lizzy Ghedi-Ehrlich (Director of Policy for Women's Health and Equality, Scholars Strategy Network), this is a free day-long training event with lunch provided, sponsored by the Scholars Strategy Network and the West Coast Poverty Center.